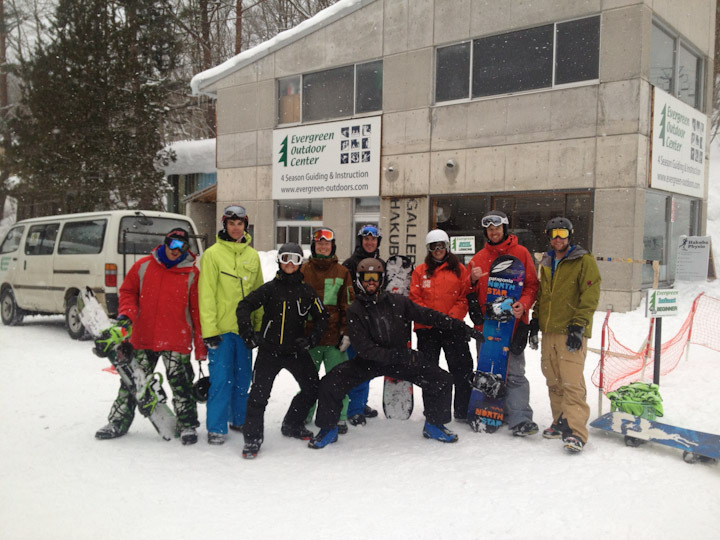 I spent the last 5 days in Hakuba to see the area and to take my CASI level 1 Snowboard Instructor Certification. The CASI (Canadian Association of Snowboard Instructors) program is one of the best I have seen and the level of instructor training was amazing. I fell like I have improved my riding a lot just from going to this training and gained some new ways to teach beginners. I am looking forward to applying these new teaching methods to our LTR program and making an even better experience for the 1st time snowboarder. Here are some photos from the training. We had a nice day on Thursday with some blue sky and a bit of fresh snow. 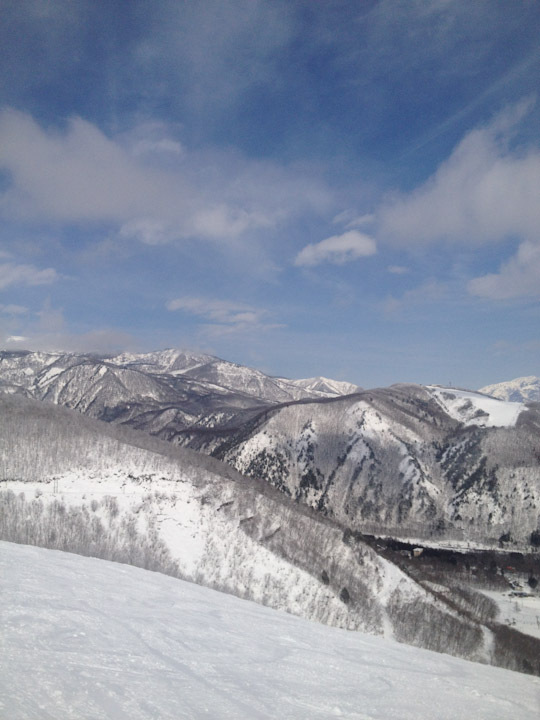 I was shocked to see my friend Tak when I got to Hakuba and started the training. He also took the CASI level 1 and we had a good time riding together. We spent about 4-5 hours on the snow each day training and studying how to teach and about 1 hour each day in the classroom. This was my class of 8 instructors in training who eventually all passed the level 1 course. And here is my official CASI level 1 certification. I was part of the first class to be certified in Japan for this level.